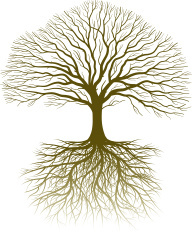 A fundamental aspect of Tai Chi Chuan practice is the development of a firm ‘root’. This is the ability to sink the energy in the body and develop strong stability. Stability in quietness, but more importantly, stability under pressure. The morning will be spent understanding how to neutralise external forces and earth them away. Ie Strength without confrontation. In the afternoon we will focus on bringing energy out of the structure and expressing. Without a strong root, we will be incapable of expression of energy.